Level D 767 shortly after takeoff from YSSY. Just before landing at NZCH. If I'm not flying then I'll be riding! Thanks for these images - excellent! 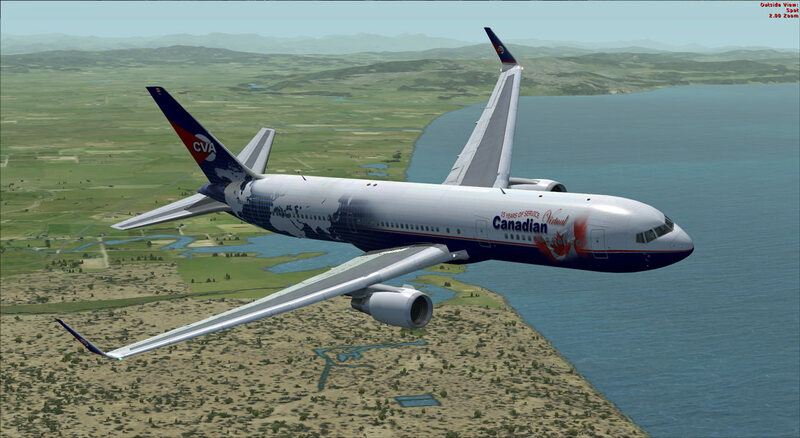 Would you be able to do me a favor and take another screenshot like this with the nose facing to the left but more in a level flight or slightly nose up and not in a bank angle (i.e. - complete side view)? 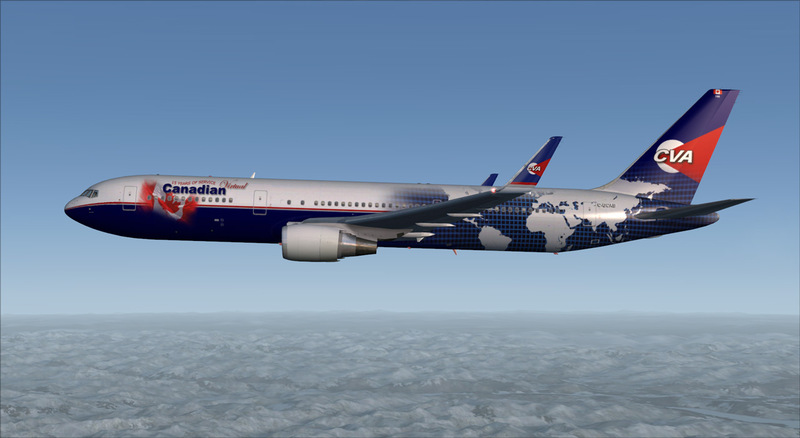 I'm working on something for the new website and looking for a few good images and I really like this repaint with the Canadian Flag & world map on the fuselage. Darryl, if you want the full size bmp let me know and I will email it to you. Fly, Navigate, Communicate....words to live by! Darryl - how were the world maps created? I have been thinking of creating a livery for my Carenado B200 (XP11). But creating those designs by hand is incredibly difficult. Good question for sure and I know they were created by one of our fleet paint designers. Can't remember if it was Keith or Cal but hopefully one of them can chime in here. 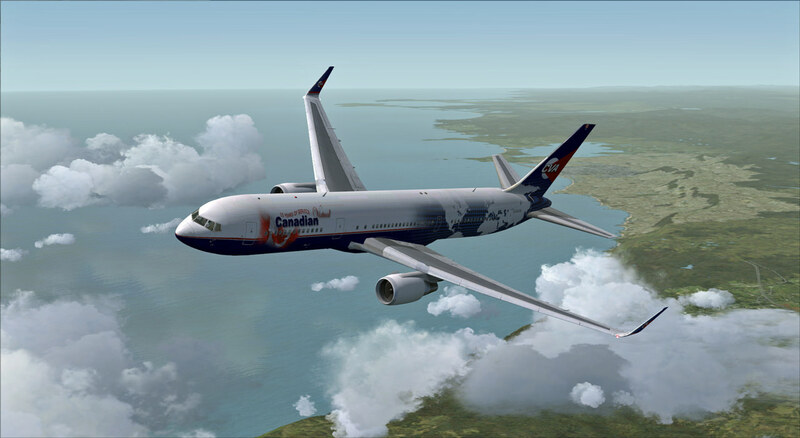 Looks like it was Cal Jordan according to the "readme" with the 767 winglet paint download. I used 3 pictures for the world map and did a lot of editing in photoshop to get the look I wanted.